In the US there’s an idiom that one person’s trash is another person’s treasure. And that’s never truer than in the world of car furniture. Here are 10 of the best examples around. 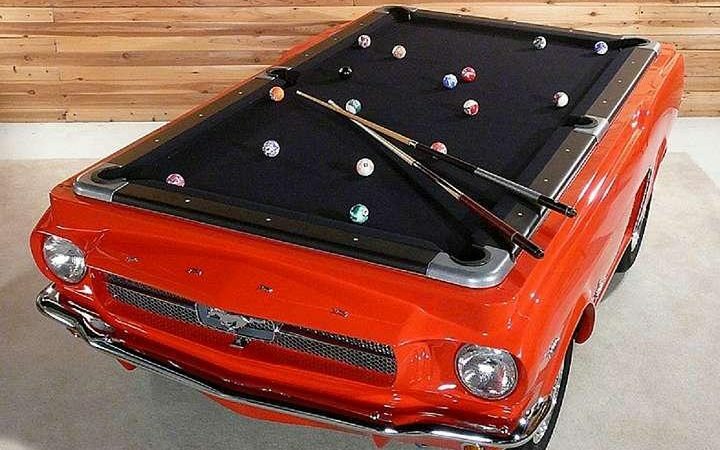 Tony Utegaard, co-founder of Carfurniture.com, which makes the Mustang pool table jokes that people will be stripping his pool tables for parts. The tables are made from glass fibre before being fitted with, the maker estimates, thousands of dollars worth of salvaged chrome badges and bumpers. No wonder their price tag is a healthy $9,995 (£6,900). 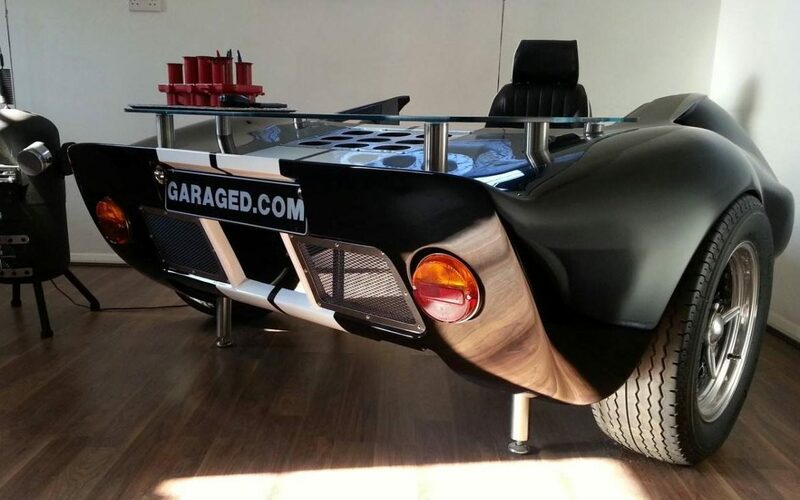 If you need a prompt to do some work, slipping behind a desk that’s in the shape of the classic Ford GT40 should do the trick. It costs £6,000 from car restoration specialists Panel Care. 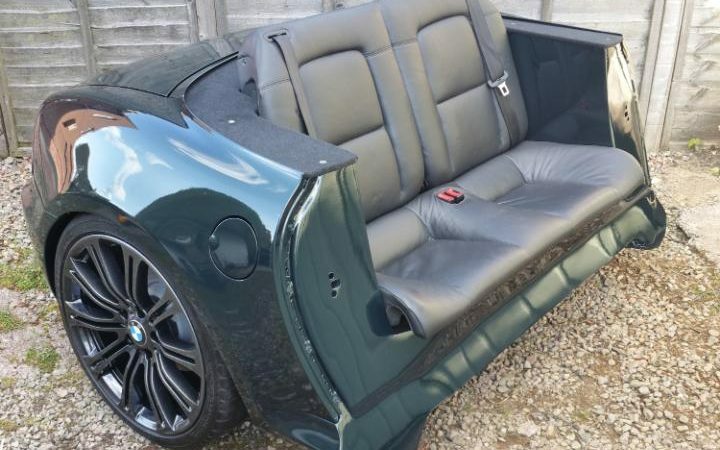 When BMW decided to build a roadster, it probably didn’t imagine the design would end up as a sofa. Gergely Bajzath from Scotland picked up the car from a scrap yard, adapted it with special suspension and legs, added in the rear bench from another junk yard find and hey presto, yours for £1,500. Although famous for its supercars, Lamborghini is less famous for Formula One success, largely because it didn’t have any. It did however try, providing the Lotus, Larrousse and Ligier F1 teams with V12 engines in the early 1990s. 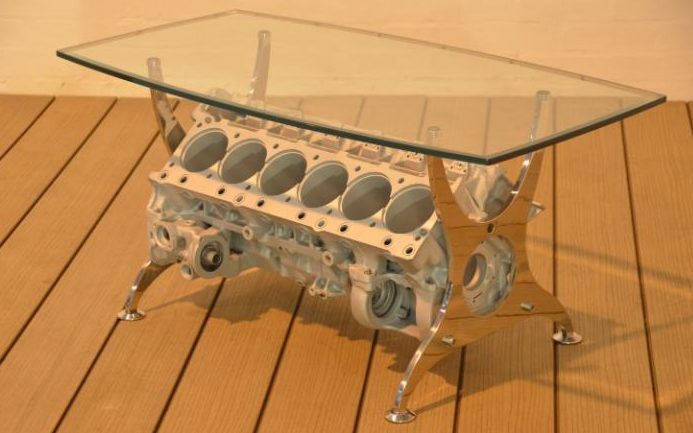 This is believed to be the aluminium block from one that’s now a unique table by Cherished Parts. Cost £9,000.